Today we have an amazing prize up for grabs. 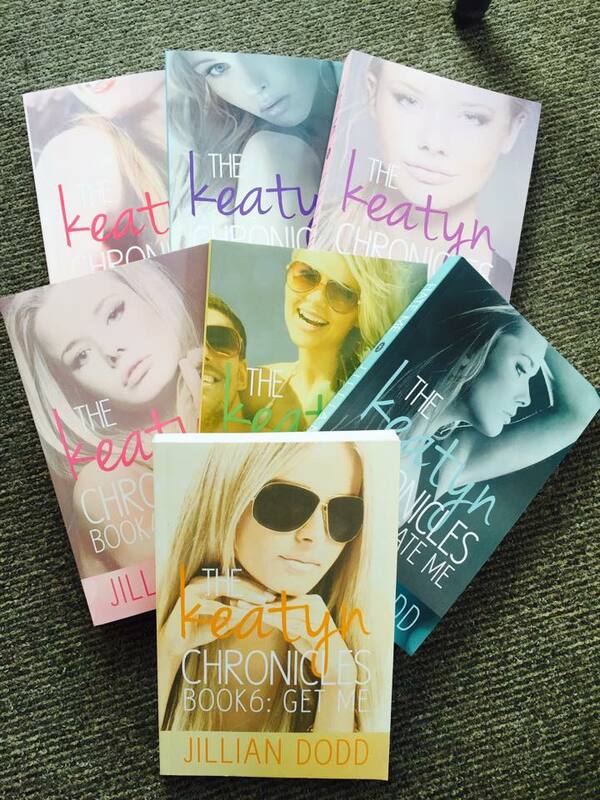 Jillian Dodd has kindly donated a full signed set of The Keatyn Chronicles, this includes six full length novels and one novella. Donna has loved this series with a passion and has relived her youth throughout reading the trials and tribulations of Keatyn and the gang. The links to her blog reviews can be found below. Good luck and share away!! YA is something I enjoy very much. I'd love to win these and share them with my daughter a few years later. I would love to add this fun series to my bookshelf! I've heard a lot of great things about it. I love these books. Thank you so much for the chance! I've been a fan of Jillian since I've read That Boy and That Wedding, and now I would love to read this series! All of the books look amazing. Heard great things. I love this series!!! Thanks for the chance. I heard nothing but great things about this series, and it has been on my TBR list for a while now!